Sometimes cocktail hour is best when it's easiest. Two ingredients or less easiest. 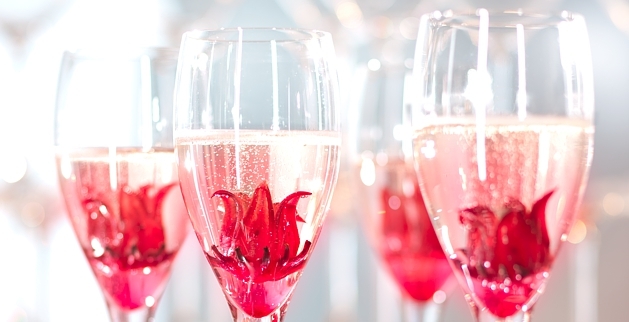 Hibiscus flowers preserved in syrup make a pretty (tasty) addition to champagne. Place a flower in the base of a flute, add a spoonful of syrup (control the sweetness by adding more or less syrup), and top with bubbles.